ISU’s classrooms aren’t stuck in the past. Instead of learning curriculum content through a lecture and then homework outside of class, students at Iowa State are engaging in the classroom like never before. Because of the Presidential Flipped and Hybrid Course Initiative and the faculty’s Team-Based Learning Community, there are now new and more efficient ways to increase student learning at ISU. Some of these new ways of teaching include flipping the classroom, team-based learning, and innovative uses of technology. 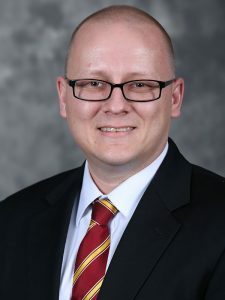 Peter Savolainen, an associate professor in the Department of Civil, Construction, and Environmental Engineering, is one of many educators across campus adopting these new methods.